The 80’s are very fashionable and everything that evokes us at that time makes us smile or we think it’s attractive, but they were not easy times for software development and even less when the graphic interface was the absolute key, especially after a crisis due to the large number of consoles and the loss of confidence of buyers. And if not tell the creators of ‘Super Mario Bros’, a myth whose foundations are in tons of graph paper in which they drew scenarios, plays and characters . Shigeru Miyamoto and Takashi Tezuka, creators of the videogame and that universe that would expand significantly in the future, remembered those beginnings as context of the presentation of the Super Mario Maker at E3 of 2015 , the update of the ‘Mario Maker’ , a game that was born to satisfy the desire to be ourselves the architects of the worlds of Mario, Yoshy and company. An original way to celebrate the 30 years that Mario completed in 2015 and that helped us to know their curious beginnings. 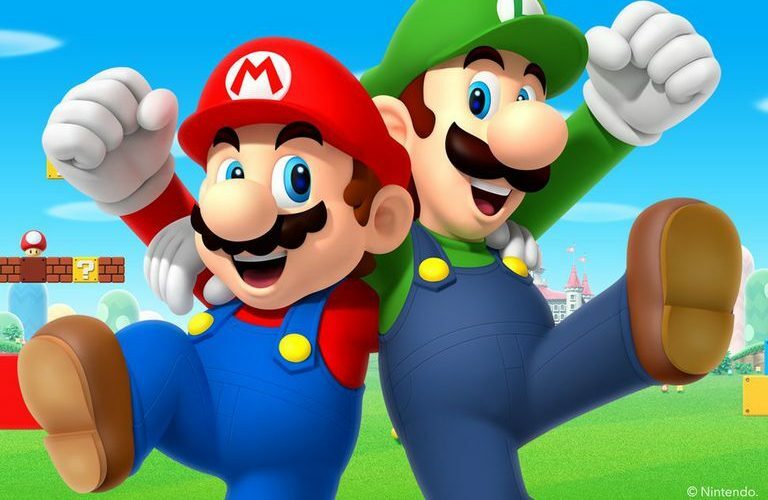 With little we have spent some time playing the game of brothers plumbers, either in its classic version or in some more modern as Super Mario Run (the game for mobile), it is easy to see that the key elements of the scenarios are the earth , the sky and the sea , although the terrestrial interiors also tend to have quite a presence. Although Miyamoto admits that when Tezuka proposed that Mario flew with a cloud to dodge and interact with the rest of the elements, the first response was a resounding “no”, given the difficulty that this implied at the development level. The difficulty vanished as the development of video games progressed and could allow a greater variety of features and actions, in fact the scroll , something that now may seem so normal, was not so much in the games for Famicom (as much as there were for shooting games). Thus, Super Mario Bros represented a change at this level, looking for great characters to move from one side of the screen to the other and advance through it, and Miyamoto tells that it was probably the first game with blue skies that he designed. The sky, along with the other two that we have already mentioned (sea and land), are the three key concepts that Tekuza mentions as a starting point for the design of the stages and the screens when Super Mario Bros was still a zygote, although the curious is how they began to capture these designs: drawing them freehand on paper . And it was not something of a script or previous sketches, it was the necessary material so that the video game could be developed. Tekuza also explains that at the beginning they had to create everything by hand . What they used was graphic paper, as they show in the video, and these sketches (duly colored) constituted the raw material of the programmers, whose mission was to translate those drawings to the worlds of Mario that most of us have enough known. Miyamoto adds an important part of the process: the revisions and corrections . What shows to exemplify it in a graphic way are these sketches corrected to the purest professor style, with red arrows on the drawings that in some occasions left everything quite chaotic, hence as if an update were about what they implemented was the paper onion, so that the corrections were drawn on it and could be seen without problems the original sketch. It is quite curious to see elements that are perfectly recognized now that more than three decades of its creation, such as clouds, bricks or Super Mario throwing fireballs. And the idea of ​​’Super Mario Maker’ was that creating a Mario world was something simple and intuitive , more akin to object-oriented programming than to the development of pure and hard code so that anyone could design a mod . Another curiosity is the small tutorials that the game was including as a play. Explains Miyamoto with the initial screen of Super Mario (1-1), commenting that many times scenarios and quite difficult plays were designed (which are what Miyamoto would like to play) and then lower them a bit. For example, one of the first moves implies that jumping to get a mushroom makes us bounce and fall quickly to the ground while a Goomba arrives, something totally sought after as the creative explains and we see in the sketch.